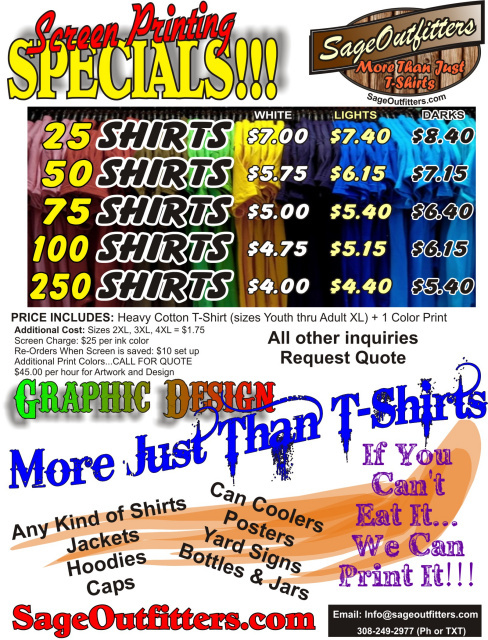 We offer Custom Screen Printing on T-Shirts and More. We Can Use Your Business Logo, Event, or Cause. Use Your Artwork or Ours.